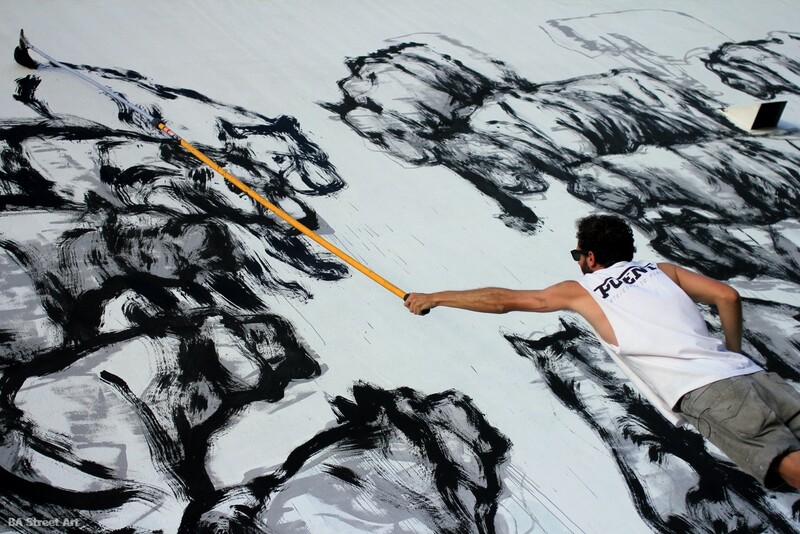 The giant mural project BA Street Art organised and curated in Villa Urquiza with Argentine street artist Martin Ron has been featured in the latest edition of Time Out Buenos Aires. Article by Jessica Sequeira. 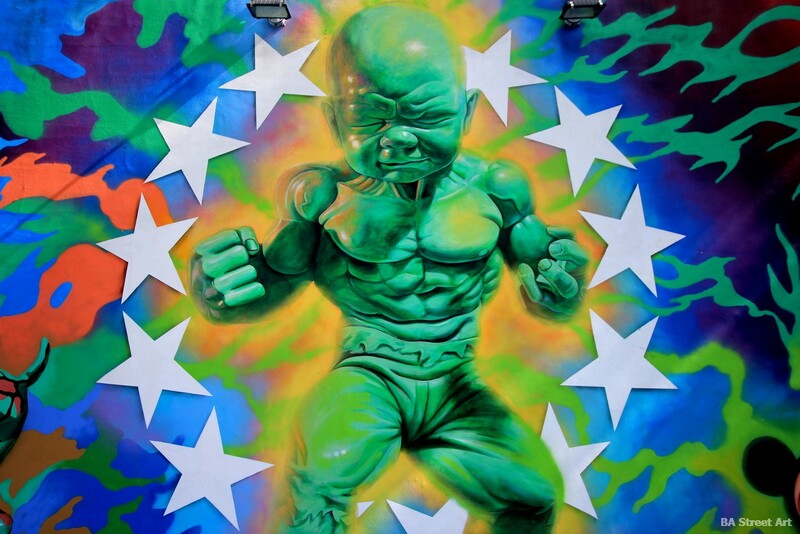 Buenos Aires street artists Martin Ron, Jiant and Giuviro completed some new artworks inside Plaza Miserere metro station in Once a couple of weeks ago. Today is the 77th birthday of Pope Francis. He was born in Buenos Aires on 17 December 1936 and was elected the first Latin American pontiff on 13 March 2013. This is a mural of the Pope by an unknown artist painted in Palermo. ROA finished a stunning new mural in the Wynwood Arts District in Miami this evening. It features an armadillo curling up in a ball. 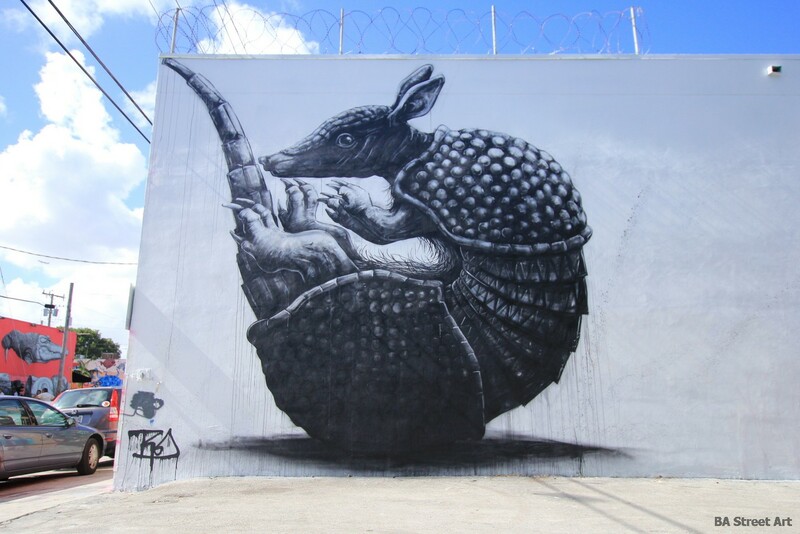 Matt from BA Street Art is in Miami and hooked up with ROA today and took these photos.